When I started working on LENND a few years ago, a friend of mine told me I had to meet a former colleague of his. Then someone else told me I had to meet her and then another, and another, and another. Note to self: When that happens, you might want to meet that person. So... this past June, I had a chance to do a site tour of Wanderlust in Stratton, VT with none other than Senior Director of Event Operations, Heather Story. I now understand what everyone was talking about. Started: In 2009 with one event in Lake Tahoe. 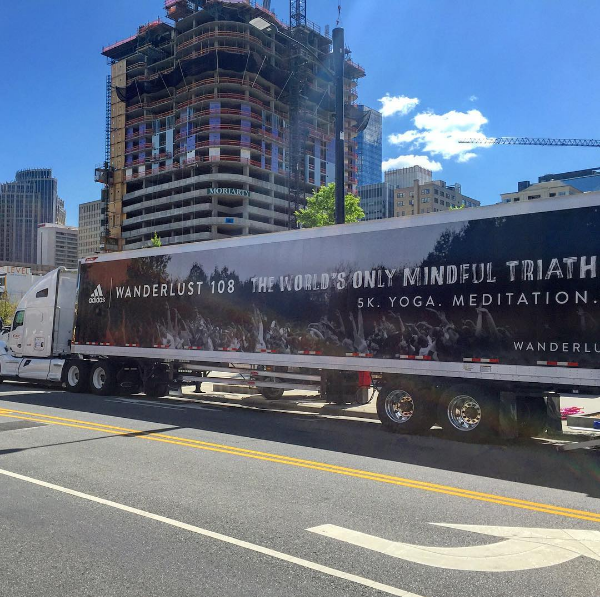 Now: 7 Festivals, 27 Mindful Triathlons (Yoga, 5K & meditation), 4 Studios, a media arm and ecommerce store. Basically: Blowing the F up. Fitbit Record: The team averaged 3.2M steps each weekend (~1,600 Miles or 2 Marathons per person). No wonder Adidas is a sponsor. Number of team members who quit: NOT ONE! You ready to jump in Heather? Oh wow! My father was in the service, so I started in Hawaii and moved probably twelve times before I got into university. Well - you were primed for the event business. What was fifteen year old Heather like? I think my father would say she was a rebel without a pause. 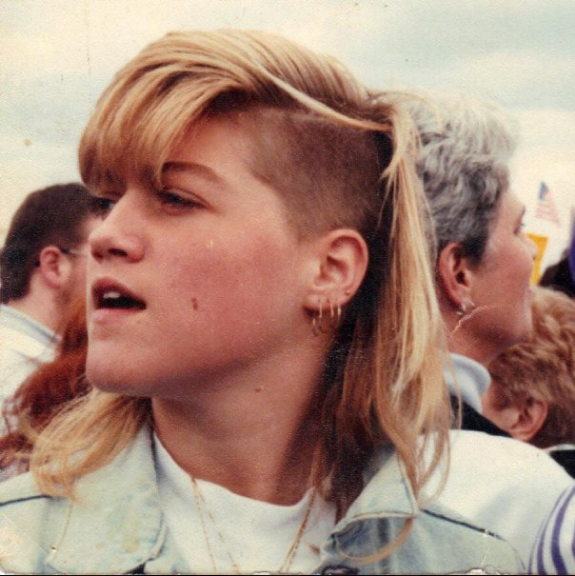 I had a Mohawk. I thought myself very political and I was going to make significant change in the world. That was my thing. I actually dropped out of high school and put in a Peace Corp application and they said, "That's great. We're glad you want to help, but go get an education first." That was me at fifteen. At that age what was hanging on your wall in your room? Hah - Some John Stamos posters for sure. Then probably a bunch of peace symbols which drove Dad up the wall. And now you work at Wanderlust. I love it. If your friends were a little tipsy now, how would they describe you? Oh no. I think they would describe me as generally harmless, although I have a big bark. But, I definitely am loyal to the end. I’m also probably a little too intense at times. If you were a piece of festival equipment, what would you be and why? Forklift. No question. Absolutely a forklift. You can get yourself out of plethora of difficulties with a forklift. Although, that might not be the OSHA approved way to use it and it's the power piece of equipment on a festival site. Have you noticed any change in your habits with this job as opposed to other production jobs? There's definitely a thread that runs through this job that has to do with being mindful, and community, and healthy living. We start every staff meeting with a meditation so that's different than a lot of other production meetings that I've led. 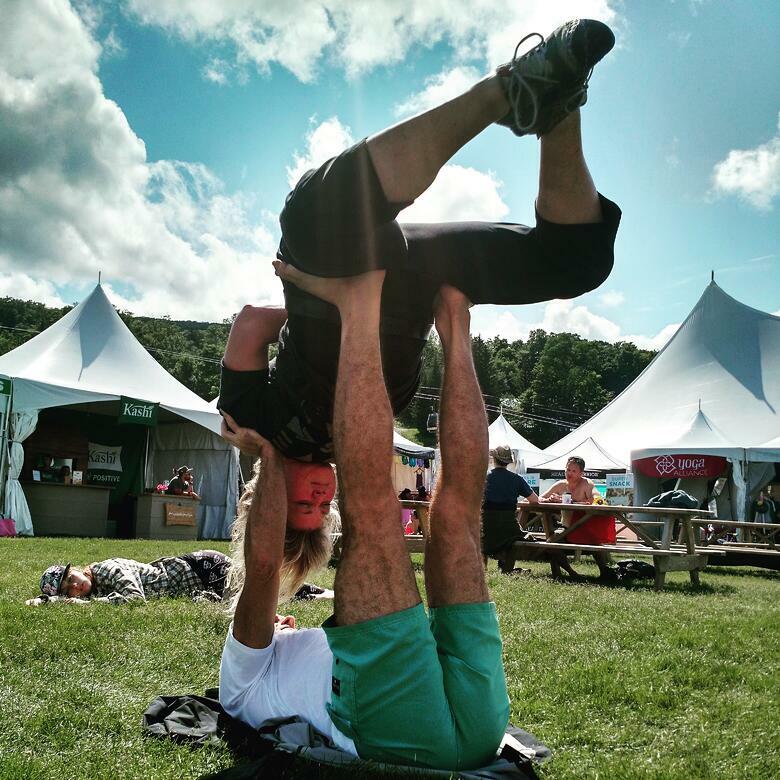 We also have staff yoga after every production meeting as we go into the festivals. What word or words do you hear working on Wanderlust that you don't hear working on Bonnaroo? Well, I think aligned is the favorite Wanderlust word. Aligned. "Let's get aligned." Where as, at Bonnaroo we would sit around a table and be like, "You need to hear what I'm saying," or "This is my position and that's your position." At Wanderlust we do exactly the same thing, we just do it in a sort of shroud of alignment and mindfulness. 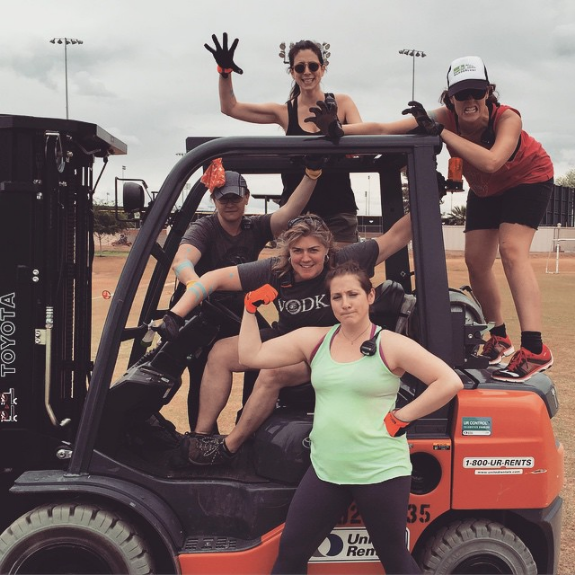 Are there similar challenges you face when working on a big music festival and working on a Wanderlust festival? You know it's very similar in terms of the back of house stuff. The operations, the production, the advancing, etc. We're still ordering audio gear and putting up lights, and heavy equipment. We deal with the weather in the same way that I would deal with the weather if I were at a festival. There is a lot that is very similar. However, with Wanderlust, our festivals are in ski resorts mostly, so there are a lot more entities to deal with because one person owns this hotel, and another person owns the conference center, and then there's someone that oversees the entire resort property. That means, there are a lot more people that you have to talk to. 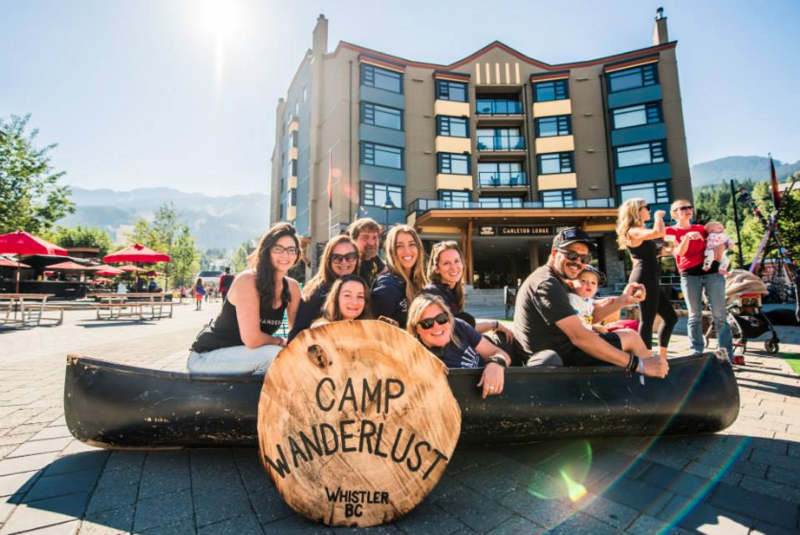 With Wanderlust we have seven locations, so we also travel around the country with five 53-foot trucks to build the Wanderlust experience at each resort. There are far less Porto-johns. That's a nice thing. Event Production Advice #2: If you're going to travel 15,000 miles around the country in a semi. At least make it look good. So what are the top production challenges you face with a roving festival like what you're doing and how to you solve them? ONE: The number one difficulty that we face is producing the same quality of event in a variety of different landscapes. I need "The Greatest Place", which is our largest yoga venue to feel the same every time. To have the same magic. To have the same amenities. To be able to host a concert at night and do huge yoga classes. Needing that same quality assurance, whether I'm in Oahu or Snowshoe, West Virginia, can pose a challenge for sure. So can traveling around the country with sixteen different indoor and outdoor decor builds that are all made of natural wood. TWO: The other more challenging piece is getting people from place to place. Whether it's our guests, our artists, or our talent. Since we're not the only game in town when we go to a ski resort, getting everyone up mountain, down mountain, to the lake if it’s Lake Tahoe, getting teachers to their classes on time or getting DJ rigs up a gondola or a very bumpy truck ride takes a lot of time and effort from every department. That’s the sort of detailed planning that we have to go through to make sure we're ready when it's time for each class to start. Event Production Advice #3 - Nothing like a little music and an exciting DJ to help people get to where their supposed to be. What were your biggest challenges you faced this year that you want to improve upon for next year? Hmm, I might know a guy. There's so much information, so having all the information in one place was our biggest challenge this year. We've made some amazing progress, but there is a lot more progress to be made. How do you structure your core production team? We have kind of two sides of the brain. One is the programming side and one is the production side. The programming side specializes in the music programming that's pairing the music with the yoga schedule. Whether it's an eighties yoga class with a bunch of eighties bands, or a main-stage production, or a musical hike. They also program most of the other activities, like having a guy with a huge cello who hikes up a mountain with thirty-five people and then plays the cello and kind of riffs off of the sounds in nature. That's a pretty awesome experience. Ya - think. That sounds freakin incredible. I know. There's also all of these bonus activities. Do you want to go zip-lining? Do you want to got on a kayaking trip? Do you want to take SUP yoga? Then of course there's the yoga and the meditation. On the production side, my production manager has to interface and know all of the little intricacies of what each experience needs. "Okay we have yoga in this room, so the lighting needs to be this way, the sound needs to be this way and I need this many wireless mics, but I'm going to have a full band play during this yoga class." Our production team has gotten really good at understanding the nuances between just having an iPod and playing yoga, doing mediation and needing some backup noise, or doing a full band production on the main-stage. When you think about the future of Wanderlust over the next five years what are you most excited about? I'm the most excited about is just upping our game. I'm excited about taking the experience that we offer and just turning it up. Making it that much better. Expanding our VIP and culinary offerings so that it really is kind of blowing people away. I watched that transition at Bonnaroo, when they brought in different VIP programs. That was a real turning point. I would like to see how we can do that at Wanderlust. 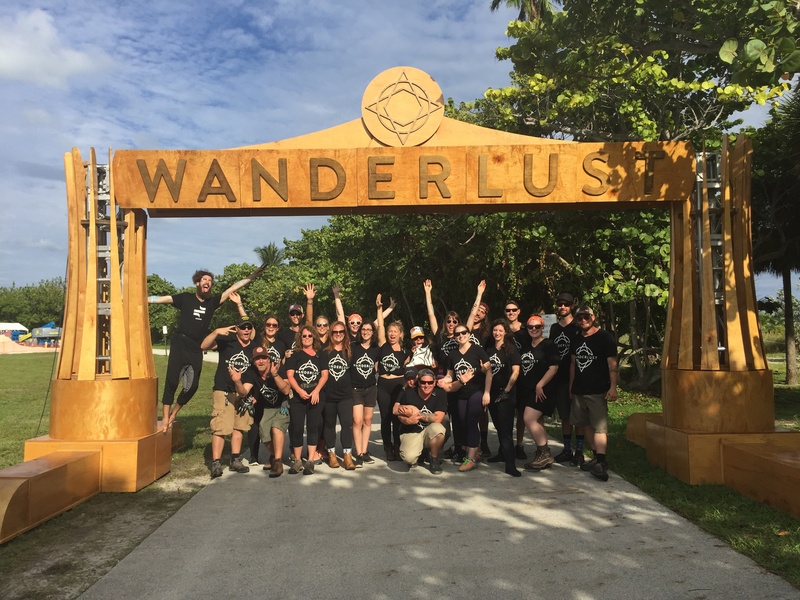 Even though you've been producing events for years what are two things that you've learned from the Wanderlust experience? FIRST: I've learned a lot about how to produce an event for the guest. 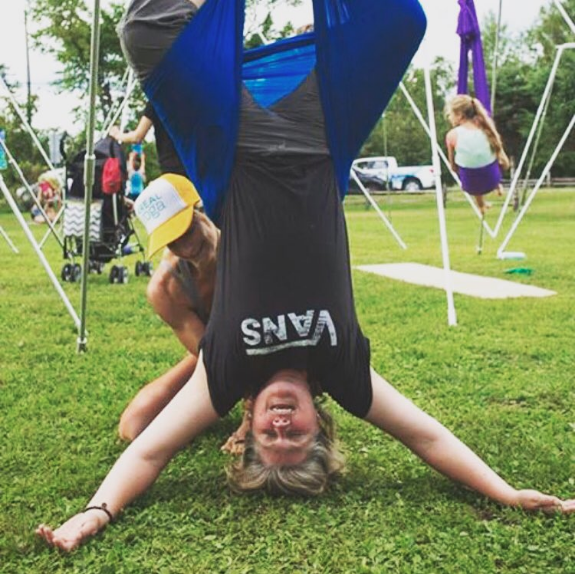 Given that I don't do yoga, I didn't understand a lot of the little things that a guest would be conscious of, like: how important temperature is, or the importance of shade or flat ground even. I didn't realize how disruptive it can be when you're in a room with three hundred people and you're listening to your breathe and someone's radio goes off. 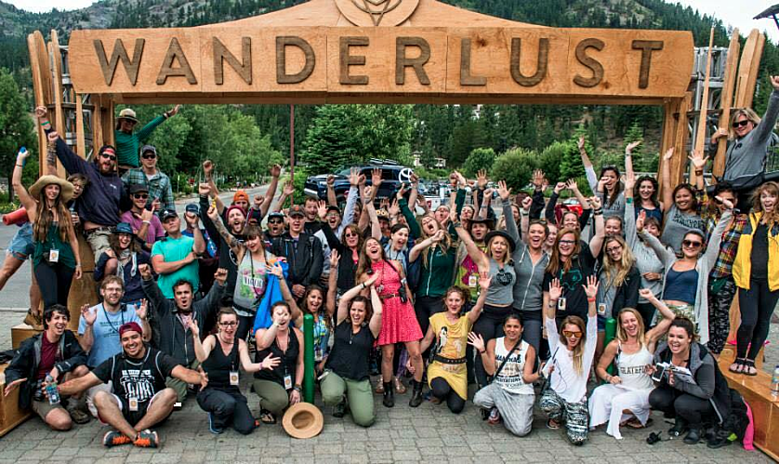 Wanderlust has taught me to stop and understand all of the different factors that go into our attendees experience. Those are things that I would not have otherwise thought about when producing other events. 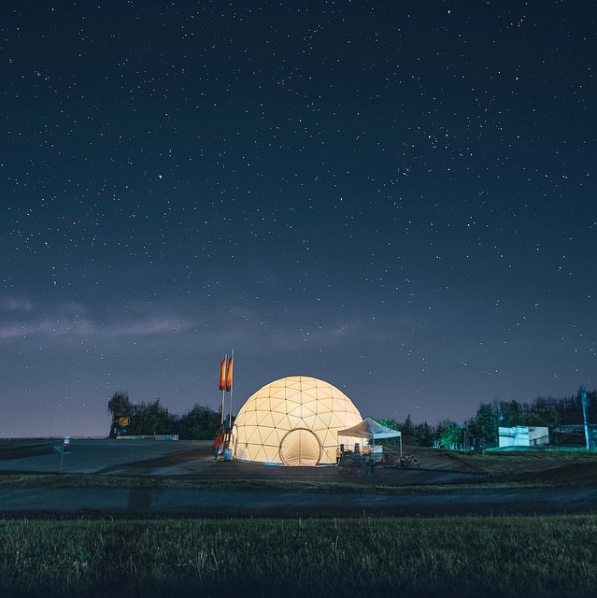 It's really interesting because when I worked with Bonnaroo, it was such a high to pack a hundred thousand people into a field, that we transformed into an amazing festival space. 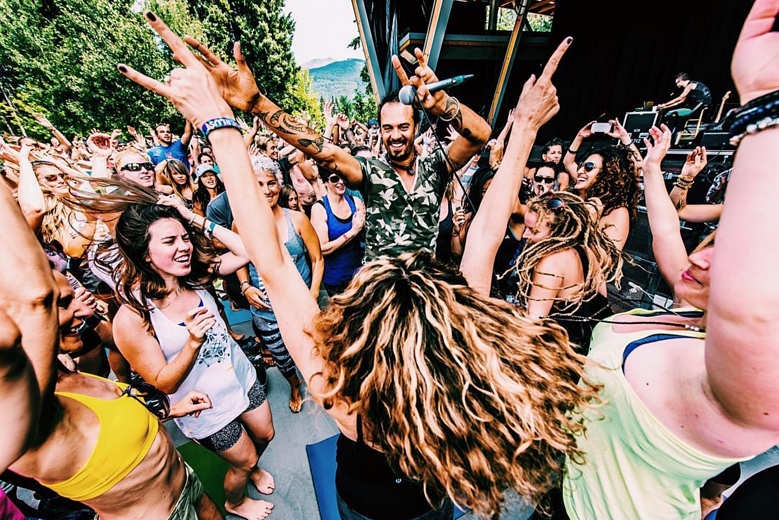 But working with my counterparts on the yoga side of things at Wanderlust, has shown me how incredible it can be to create a space where three or four thousand people are all moving together in unison, doing yoga, and being mindful, and meditating. It’s kind of goose bump inspiring. SECOND is communication. I've always known how important communication and transparency is, but it is that much more important here because one change can affect every single department we have. So making sure everyone is aware of changes as they come up, is really critical. Even if it seems insignificant, the change can definitely be magnified here. How do you keep your team motivated over a pretty grueling schedule? What are some of the things you do? I try to draw on my experience with every terrible manager I ever had and think, "Okay, I don't want to do that to them." FIRST: I try and be straightforward. I know I'm not an easy person to work for. I warn everyone who comes to work for me that I'm a bit of a perfectionist and demand that from other people on the team. I'm very fortunate, because I've picked the right people. I have a great team and they're all in. "Hey I noticed that you did this and that's working great." or saying, "I see you and I see what you're doing and that's great and let's do it even better next time. Let's keep improving." is something I personally find motivating and think my team does as well. THIRD: I really try to get them to speak up. If I am going to be up-front, I want them to be up-front with me. For example: When we were going into our 108 run series this spring, I told them, "You guys are going to be exhausted, and beat down, and so tired, and not want to get on another airplane or sleep in another hotel room. I totally understand that and when you need to say, 'I got to take a walk', or 'I need some time'. But you have to speak up, because there is a chance I may not recognize it on my own. LAST: I force everyone to take every Tuesday off. Even if they didn't want to. Even if they felt like there was not enough time to get all the work done. Then I let all the other departments know, "Hey, we're not going to be answering emails on Tuesdays.”. Just having that sort of in your mind that this is a day that I don't have to enter back into the race. I think is beneficial. Your such a push over Heather. What's the best piece of professional advice you've received and from whom? Early in my career, we had to do a full evacuation of a sold-out Jimmie Buffet show thirty minutes before he was to take the stage. Keep in mind, it's a Jimmie Buffet show, so these people had been in the parking lot for quite some time and they were all pretty happy. Being really, really green, I was kind of running around like a crazy person making sure gates were open and telling people to seek shelter. The Police Lieutenant called me over and said, "Heather, do you trust your plan? ", and I was like, "Yeah, I trust my plan. ", and he said, "Do you trust your people. ", and I was like, "I trust my people.". He said, "Okay, it's not your job to do. It's your job to manage and you can't anticipate the next three moves if you're in the weeds." That has stuck with me my entire career. In your work life are you insecure about anything? Well, sure. I mean over the years I've been insecure about a million things. I'm definitely a girl who is in a boy's world in large part. Less so now than when I started, but I think that I was insecure about not knowing everything. Not that I know everything now, but not having a frame of reference so that I could make informed decisions. It's why I learned how to drive a forklift. It's why I learned how electric works at the amphitheater. It's why I learned how to take apart a sloan valve. I think that's probably the biggest insecurity I have had because I was just too arrogant to ask for help. I would say it's take a deep breathe and enjoy it. Event Production Advice #5: You should really try to experience your event in the eyes of the attendee. Even if it is upside down.